Things I’ve found scouring the op shops and markets of Sydney. 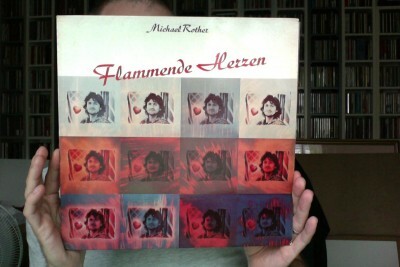 Mainly second hand vinyl, but occasionally other curios. 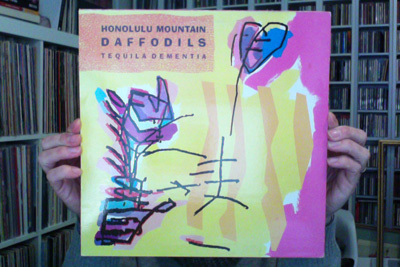 Tequila Dementia is the second of three albums recorded by the Honolulu Mountain Daffodils, an overlooked cult 80s band probably best known for containing among their ranks Adrian Borland, of that other overlooked cult 80s band The Sound. Here, like the other members of the band, he appears under a pseudonym (Joachim Pimento). I’ll admit, I picked this one up out of curiosity more than anything. I recognised the cover from back-in-the-day and liked the thanks on the cover to “the music of Neu, ENO, B.O.C., VU MK1”. 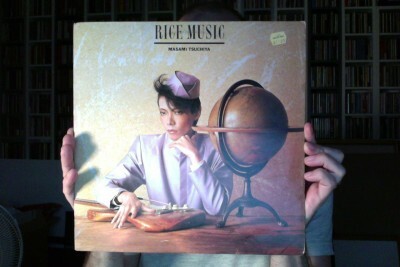 I wasn’t expecting much more than a thin, dated sounding late 80s indie guitar album, but this turned out to be real gem. Proto-punk and psych influenced grungey noise rock (‘Disturbo Charger’, ‘Death Bed Bimbo’, ‘Tequila Dementia’, ‘Mule Brain (Brain of Mule)’), Krautrock (‘Also Spracht Scott Thurston’) and gothy art rock (‘Collector of Souls’, ‘Menace in the Font’) delivered with plenty of fuzzed up guitars and keyboards. The songs themselves all have plenty of character, each with its own identity but working together as an album should. There’s also some tasty locked groove noise at the end of each side. There’s not much information available online about the band, and what there is doesn’t make for happy reading. On the sleeve of Tequila Dementia it reads “Drink Until Death & Beyond”. Two of the band’s members, Lord Sulaco (Pete Williams) and Daiquiri J. Wright (Graham Pearson), died as a result of alcoholism. Borland, who also had a drinking problem, died by suicide in 1999, after years of struggling to live with a mental illness that made him severely depressed and agitated and gave him auditory hallucinations. But the music remains, cherished by those who were there at the time (Pete ‘Sonic Boom‘ Kember is a fan and there’s a glowing review of their third album Aloha Sayonara over on Julian Cope‘s Head Heritage site). It’s also ripe for discovery by those of us who may have missed it first time around, though it appears absent from most legit streaming services, most of the album can be found on You Tube. …and an excellent appraisal and tribute to the band from their contemporary Adrian Janes (drummer with Borland’s pre-The Sound band, The Outsiders).